In the previous post we looked at a couple pf examples on how to work with digital certificates in C# code. In particular we saw how to load certificates from a certificate store, how to search for and how to validate one. 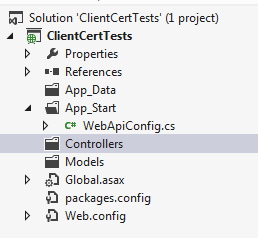 In this post we’ll go through how to attach a client certificate to a web request and how to extract it in a .NET Web API 2 project. 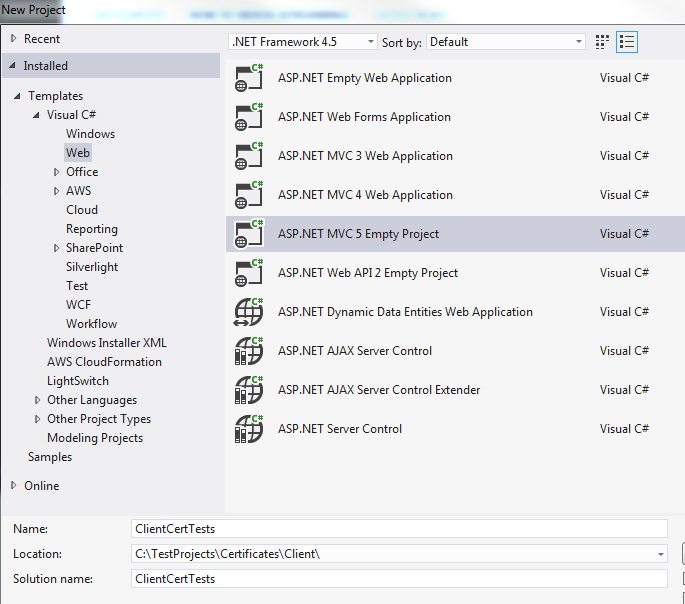 However, it doesn’t really make a difference how you create a Web API 2 project. Note that the template type shown above may not be available for you. You can download the necessary extension from MSDN here. Nice, we’ve completed the preparation phase. You can set a breakpoint in the beginning of the Get method already now for the next step. You’ll need to adjust the port number of course. 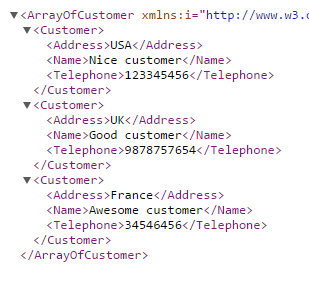 You can read it from the address you see in the browser when starting the Web API project. I trust that you understand the usage of the HttpClient object. Great, we now have the necessary components to build upon. You can probably follow that code based on what we saw before. We don’t perform any certificate validation yet, we’ll do that later. For the time being we want to make sure that we can read the incoming client certificate. You can place a breakpoint within the above Get method for easier debugging. Run the web app and the console like we did before. You’ll see that clientCertInRequest is …err… null. What happened? Where did our client certificate go? We run the web application in IIS Express of Visual Studio which is obviously not the same as a “normal” IIS installation. So we cannot just simply open IIS and modify this setting for our local demo. However, the above above picture suggests that by default client certificates are ignored. The client certificate is unfortunately ignored when we send it to the customers controller. Setting the access flag like we did is obviously not the right way either. There seems to be no easy way to configure client certificates for local tests unfortunately. You can search for “iis express client certificate” and similar terms on the Internet and you’ll find a couple of possible workarounds with varying complexity. I think they are all too involved to achieve a simple purpose so we’ll try something different in the next post. Thanks for this excellent walk through. It requires just a tiny tweak to the applicationhost.config, which I did not find to involved.